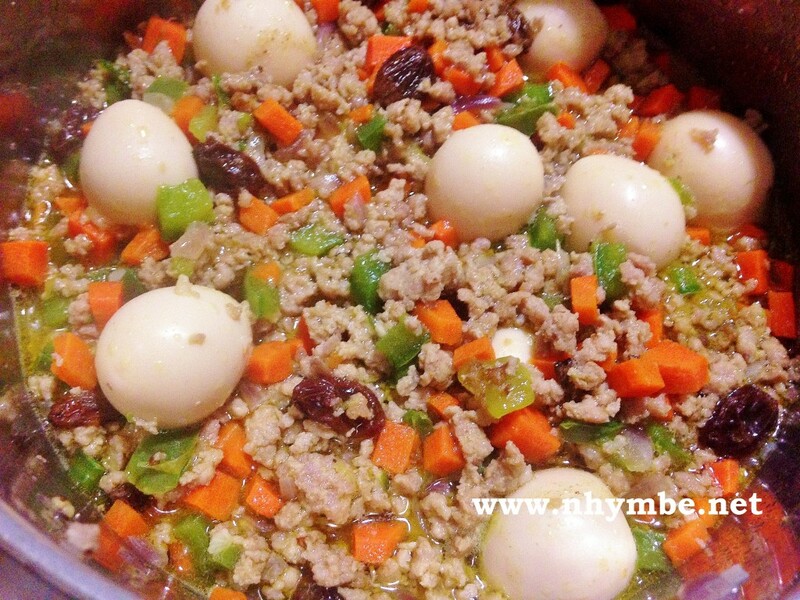 I have several ways of cooking ground meat just for the sake of not getting tired of it. 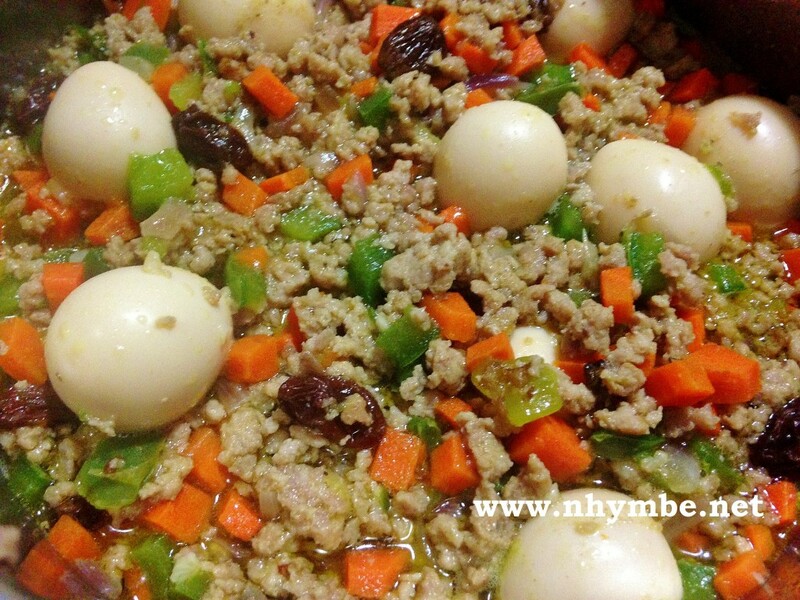 Sometimes I add quail eggs (canned quail eggs, available in Asian store or grocery stores when you’re in the Philippines), this makes it ground beef guisado with quail eggs, sometimes I also add sliced hotdogs to attract the kids, sometimes I add tomato sauce to make it “menudo” etc. Click here for the recipe of Ground Meat Menudo. 1) Saute the garlic, followed by the onion and the ground beef. Add the patis and stir to blend the flavor. Let it simmer until the liquid is reduced. 3) Add the bell pepper, and black pepper. Stir to blend well. Add also a pinch of salt and brown sugar if desired/necessary though the raisins will give the gentle sweetness to the ground beef guisado, you might want to make it a little sweeter.